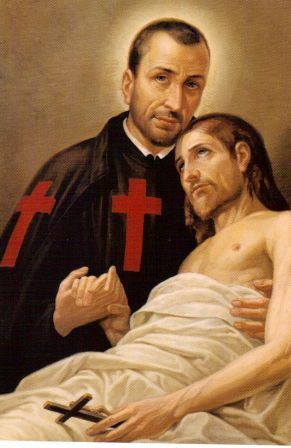 Conversion of St Camillus - 2 February 1575. 1575 was a severe winter which meant there were no wars to be fought so Camillus, the mercenary, was unemployed. Rather than beg he went to work for the Capuchins in Manfredonia. The local superior sent him to the monastery in San Giovanni Rotondo to get supplies. He stayed overnight and that evening fell into serious conversation with Fr Angelo. This conversation on the meaning of life was to have a profound effect on Camillus. 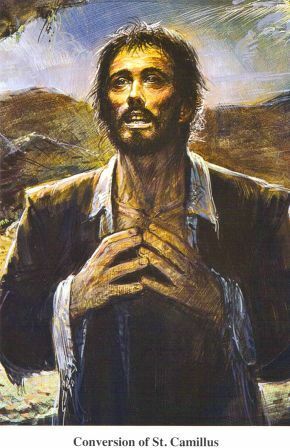 On his way back to Manfredonia the next day, he got off his horse in a desolate place aptly named the Valley of Hell and decided to give his life to God. Camillus the mercenary underwent a complete transformation. His addiction to gambling ceased. He learnt to control his violent temper; he had once challenged a fellow soldier to a duel unto death because of alleged cheating at the card tables. He was now on fire with a maternal and untiring care for others and he set about channelling his strong emotions into fighting for the rights of the sick. He was the precursor of modern day nursing care. The Pope of the time, Sixtus V, credited Camillus as the 'founder of a new school of charity.' By opening his heart to the grace of God, Camillus became an extraordinary saint. He grew to seeing God in every person and every man and woman became his brother and sister. St Camillus. Patron Saint of the Sick & those who care for them. Read here an account of St Camillus' conversion from violence and addiction. Camillus as a young man – a man of violence and an addict. ‘In 1567(at this time he was 17) he went to Francavilla a Mare in order to be enlisted in the army of the Venetians but in vain. Some years later, in 1570, he tried again; this time he was accompanied by his father who became seriously ill and died at Saint Elpidio by the sea (Ascoli Piceno). He challenged one of his companions at arms to a duel, suffered a fever and dysentery and his life was in danger many times; but most of all, he gambled and lost so much that he was left in great misery. In his hardest moments, he would run to God, renewing his vow to become a Friar as happened on October 28, 1574 during a storm at sea while travelling from Palermo to Naples. Towards the end of 1574, he had to beg for alms in Manfredonia; finally, he found a job in a Capuchin monastery as a helper, with the task of providing stones and cement for the construction of the monastery. February 2, 1575, Feast of the Purification of the Blessed Virgin, marked his conversion, bringing a total change of his life and the start of his dedication to the service of the Lord. When he went to Saint Giovanni Rotondo on the vigil of the feast to bring provisions for the Friars of that monastery he had a deep religious conversation with the Father Guardian, Fr Angelo. The next morning, on his way back to Manfredonia, immersed in the thoughts inculcated by the good Capuchin, he felt deeply and intimately transformed. Prostrated on the ground by the wayside, he professed and implored loudly: “Miserable and unhappy me, who for such a long time ignored you, my God and did not love you. Give me time to do penance and to weep for a long time for my sins. Not anymore the world, not anymore the world for me.” He even promised to be a Capuchin. 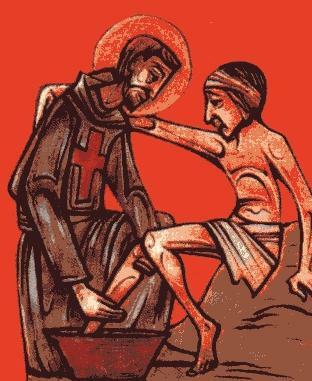 He entered the Order and put on the habit but was dismissed after a few months of novitiate for the worsening of his sore on his foot. He returned to S. Giacomo (Hospital in Rome) to be cured where he stayed on from 23 October 1575 to 20 June 1579 with common edification, curing and assisting the sick under the spiritual guidance of Saint Philip Neri. Pat (Patrick) was born1935 and was brought up in Parteen, Co. Clare, although he was born in St Camillus Hospital, Limerick. His parents were Eileen (nee Leahy) and Paddy. His father was a Guard (Police Officer) and Pat had a brother and sister, John, also a priest with the Kiltegan Missionaries and Eileen. In 1953 Pat entered the Novitiate and after first profession was sent to Milwaukee in the North American Province along with other students to begin his studies for the priesthood. He was ordained priest in Milwaukee in 1960 and returned to Ireland. He was based in Killucan after ordination where he was engaged in the Order’s school there as well as becoming Superior and Novice Master. In 1967 he was transferred to our Community House in Hexham in the north-east of England. Here he was engaged in hospital chaplaincy and parish work. He also did parish work for a time in Blyth near the city of Newcastle-upon-Tyne. 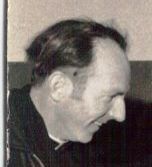 He returned to Ireland in early 1978 and from February to May he worked as chaplain at Blanchardstown Hospital, Dublin. In May 1978 he was appointed full-time Hospital Chaplain to St Vincent’s Hospital, Elm Park, Dublin. He worked here until May 1987 when he was transferred to the northside of Dublin to become chaplain to the Mater Misericoridae Hospital and he was there until January 1998 when he was transferred to the southside of the city to become chaplain to St Luke’s Oncology Hospital where he worked until his death. Pat was a man of wise counsel and an easy demeanour that would make anyone completely at ease in his presence; particularly those who were sick or suffering in any way. He would have been at the bedside of thousands of dying people, ministering to them and their families Christ’s comforting presence. He would also bring comfort to those who were bereaved, by his presence, his prayers and his consoling words. Pat loved sport and enjoyed a smoke and drink as well as a bet on the horses and was always good easy-going company. He had a great love of all sports. He was a regular contributor to the Province’s newsletter and his writing style was dynamic and inspirational. His sense of humour pervaded his writings and it would certainly be one piece of the newsletter that all would look forward to reading. 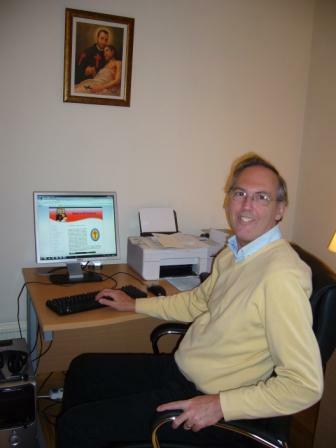 Pat took great care in preparing his homilies and would have them all written out which would then be delivered in his easy and gentle manner. Pat endured a lot of sickness and difficulties particularly over the last few years and he bore it all with great fortitude. Indeed anytime he was discharged from St Vincent’s Hospital in the last couple of years his first thought was to get back to work at St Luke’s, which quite literally he would do the very same day. Unfortunately illness prevented him from celebrating his 50th anniversary of ordination in 2010 but he accepted this with great grace. Behind Pat’s easy-going manner was a wealth of knowledge and deep spirituality. 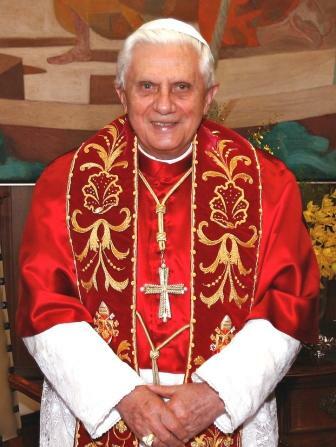 He celebrated Mass every day, whether in public or private until illness prevented him. 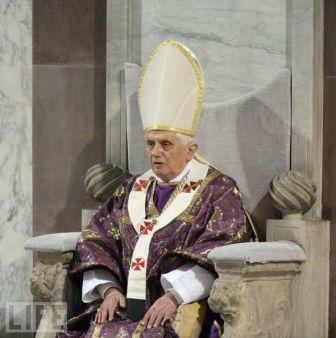 He was faithful to the Divine office and to private prayer. He was loved by all who knew him and will be sadly missed; particularly for his easy manner and wise counsel. He was non-judgemental and everyone felt comfortable in his presence. May he rest in peace, Amen. NAIROBI – Three members of the Assessment Team (ATeam), Bro. Joseph Niri, MI, Sr. Bernadette, CS and Ms. Anita Ennis (LCF) arrived in Nairobi last August 17. They were welcomed by Fr. James Wanjau, MI and Sr. Catherine, CS. They were sent by the CTF Central to conduct assessment of needs of the Somalian refugees in the Diocese of Garissa, where the biggest refugee camps are situated in the town of Dadaab. August 20, they arrived at Garissa together with Sr. Catherine. They were hosted by Fr. Clement, a clergy member of the diocese who happens to be the brother of Bro. Joseph. After an initial briefing and meeting with some personalities in charge of the diocesan program, the team proceeded immediately to Dadaab, a place which hosted four (4) big refugee camps: Ifo, Dagahaley, Hagadeiro and Kambios. These camps were under the coordination of the United Nations Commission on Human Rights (UNCHR) and with the collaboration of the big international organizations such as Norwegian Refugee Council, Medi Sans Frontier (MSF), etc. All those camps were visited by the ATeam. From Garissa, the ATeam will proceed to Wajir which is over a hundred miles away from the city. The Camillian Sisters has a community in that place, taking care of the disabled children. This will be our homebase. 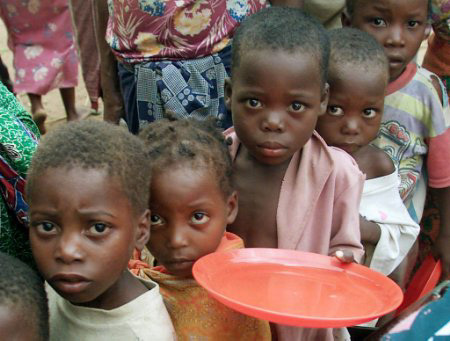 The famine in the Horn of Africa has affected more than 11.6 million people according to the UN. It is estimated that 1.26 million children in the south of Somalia need immediate care and that 640,000 are gravely malnourished. The Camillians, through the Camillian Task Force, responding to the urgent appeal of the Pope, have decided to send in the next few days a first response team composed of healthcare personnel, in particular a Camillian from the Kenyan Delegation of the Order, a volunteer from the Lay Camillian Family, and a sister from the Ministers of the Sick. The task of this team is to evaluate the needs of the affected population in view of a targeted and significant intervention and to coordinate the first response to the enormous needs. The Camillians have been in Kenya for almost 30 years. At Wajir, on the border with Somalia, one of the zones where thousands of people that have fled from hunger and a sure death are amassing, the Ministers of the Infirm (Sisters) have for the last several years operated a facility directed at meeting the social and healthcare needs of mothers and children. At Wajir the Ministers of the Infirm will offer a natural logistical base to support what is already taking place and to plan for a larger intervention in the next few weeks directed at helping the thousands of refugees that are arriving from the areas affected by the famine. The Statue underneath the portrait of the young St Camillus caring for the Sick. Our website, whilst now live is still very much a project in beginning and we hope to add more and more to it with the passage of time. Please click on our menu items to learn more about our Order and our way of life. Fr Stephen Foster pushes the button to launch the website. The original team who designed the layout. Creating community has always been a significant focus of Irish society. Even in pre-Christian times we know that people lived together for mutual help, protection and support. The Neolithic grave found by an old Mass-Path near our Community is a tangible testament to the fact that people have gathered in this area for well over 3000 years. Since Catholic Emancipation the local Community have been free to practice their faith and the Church once again became the heart of the local community. 1935 - The Camillians Come to Westmeath. Into this long tradition of community living and support came, in 1935, the Order of Saint Camillus. A group called the Guilds of St Camillus, a forerunner of today’s Lay Camillian Family, helped the Order find a home in Westmeath. The Guilds helped raise the funds that allowed Fr. 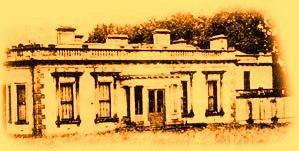 Terence O’Rourke buy Riverstown House. Fr. O’Rourke had joined the Camillians in France and was instrumental in setting up the new foundation. The house cost that early community the sum of £5,000. The House and adjoining Flour Mill were built in the mid 19th century. Following a personal tragedy and the changes in Irish society the Catholic owners, the Hannan family, were keen to sell the estate and move to England. Many local people were quick to help and soon the Camillian Community of eight religious was established and Riverstown House became universally known as The Monastery. To put 1935 into an historical context, events that year included the March Dublin bus strike which required the army to provide transport! The must-see movie for Christmas 1935 was Snow White and the Seven Dwarfs; Nylons were the new must-have fashion craze from America where Franklin Roosevelt was President. Pius XI was Pope and Edward Byrne was Archbishop of Dublin. The actor Dudley Moore was born as was Elvis Presley, Woody Allen and Julie Andrews. In Germany, Hitler rejected the treaty of Versailles, limiting the size of Germany's weapons and so, although gathering, the storm clouds of the Second World War were still four years away. From the start, the sick were the heart of that pioneering group. The brothers would go into people’s homes to care for those who were ill or dying and the tradition of performing the last offices for those who had died continued up to a few years ago. A tradition which progressed into today’s practice by many local people who request to repose before the Altar in our chapel before their funeral. At the same time, the priests would visit people to bless them and to offer spiritual comfort. One man still very much remembered by the older generation is Father John Cleary, who was later to die in Australia. Even today his name remains a legend in the area. Today, this work continues with members of the community frequently answering the call for a blessing in the local hospitals and in people’s homes. The deep sense of the spiritual in people’s lives is still evident and many people are drawn to the Monastery to seek spiritual comfort in times of personal and family difficulty. Over the years, especially in the early days, the house and farm provided an amount of local employment, as the Nursing Centre does today.The summers saw many local people learning to swim and enjoy the cool water on hot days in the river swimming pool. Also worthy of mention are the football pitch, tennis court, hand-ball alley and all the other recreational facilities that were available to the local community. A snooker table in the house was also a source of entertainment for many. It was a French brother, Etienne, who managed to harness the water from our river, a man-made canal cut from the River Deel, to provide water for the Mill. In the years before the Second World War he created a hydro-electric station. This produced enough electricity not only to light the Monastery but also the local Community Hall and all the houses in between! Etienne must have been somewhat of an Eco-Warrior before his time! From the early days of the foundation the Community ran a school, a Minor Seminary, with the intention of fostering vocations to the Order, which it certainly did. The school moved to a purpose built building in 1953. Some of the pupils continued with their vocation and are with us today, providing an example of the school’s capacity to pass on the solid Christian values that were the underpinning of its ethos. The school holidays were to play an important role in fostering another aspect of the work of the Camillian Community within the locality. Groups of disabled children from Dublin would take over the place. This provided their only prospect of a summer holiday. They were from the same school as the well known author Christy Brown, whom you might remember from the 1989 film My Left Foot. During the summer months young refugees from Belfast came to us, escaping the tragedy of the troubles. Many local young people would volunteer to look after, entertain and generally give them a much-needed holiday away from very difficult situations. Around thirty mothers and children and teenagers would be looked after and entertained. Trips to the seaside were common place and many afternoons of football and games were held. At night the show-bands, like the Times, would come and entertain them. During the day there was much hard work to be done and many of the children needed a lot of care. The young volunteers worked in shifts, starting at eight o’clock in the morning and often working through until bedtime. Members of the Community also worked hard to provide these unfortunate youngsters with a holiday. As health care in Ireland changed, state funded Public Health Nurses took over caring for people at home. This change, among others, together with the desire of the Second Vatican Council that Religious return to the original charism of their founders, was to bring about a major shift in the work of the Killucan Community. The School, with much sadness, closed in 1974 and the Nursing Centre opened its doors in 1976. Bro. Christopher McCabe, from Glasgow, became the first Nursing Director and Fr. Frank Monks, from Dublin, the first Administrator. We opened with just sixteen beds; today we are proud to continue the tradition of care and healing. We now care for fifty seven people, as well as providing the in-patient services for the North Westmeath Home Care Hospice, caring for people of all ages. The Hospice Home Care Team is based at our facility and has been the source of a new direction for the Nursing Centre. Among the many other activities which today take place in Killucan is the Monthly Healing Mass, at which around 200 people gather to pray in the Nursing Centre Chapel. A weekly Adoration Group meet on a Wednesday afternoon to pray for the intentions of the sick. The local A.A. group meet every Friday in the Monastery, the parish S.V.P. 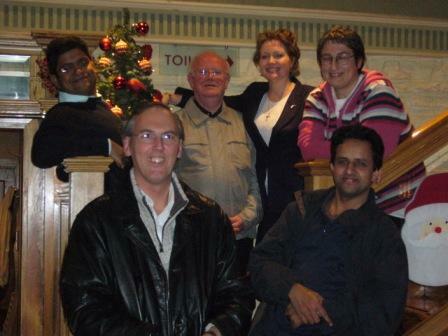 group use our facility to hold their meetings and the Centre even provides a home for the local I.C.A. group. The Fathers of the community regularly help in local parishes and we enjoy a very cordial relationship with our confreres in the Diocese of Meath, especially with our present Parish Priest, Fr. Richard Matthews. None of these activities would have been possible, however, without the outstanding collaboration of our neighbours and the people of the wider community. People who work with us, support our fund-raising events, give to our country-wide donation boxes and most importantly of all, pray for the success of our ministry. In July 2010, during the festivities for the Feast of St. Camillus the Community was delighted, as well as privileged, to welcome the Heart of St. Camillus. The complete, incorrupt, heart of our founder in its gilded 18th century religuary was brought to Killucan from Rome for four days of public veneration. Usually it is kept in the small room where the saint died in 1614. 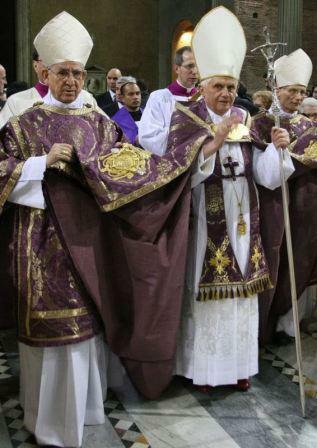 On only two previous occasions since then has it left Rome. Over 30,000 people came to venerate the saint and many more went to Dublin and to Our Lady's shrine at Knock. It was certainly one of the highlights of the seventy five year history of our Community. Again, it was only possible because of the wonderful help and cooperation of the local people. Pictures of this wonderful event can be seen at the Nursing Centre page of this Website. Looking back on three quarters of a century of Camillian Ministry and Presence in County Westmeath, what strikes us? Reflecting on our history, one thing becomes evident. The fact that, along every step of the way, the Camillians and the wider community have been and continue to be intertwined in their desire to put Our Lord Jesus in the person of the sick and suffering at the very centre of their care, respect and attention. Who knows where the future will lead us in the next seventy five years, as we strive to continue the Lord's work for the sick and suffering in Westmeath. Each year, on the occasion of Lent, the Church invites us to a sincere review of our life in light of the teachings of the Gospel. This year, I would like to offer you some reflections on the great theme of justice, beginning from the Pauline affirmation: "The justice of God has been manifested through faith in Jesus Christ" (cf. Rm 3, 21-22). First of all, I want to consider the meaning of the term "justice," which in common usage implies "to render to every man his due," according to the famous expression of Ulpian, a Roman jurist of the third century. In reality, however, this classical definition does not specify what "due" is to be rendered to each person. What man needs most cannot be guaranteed to him by law. In order to live life to the full, something more intimate is necessary that can be granted only as a gift: we could say that man lives by that love which only God can communicate since He created the human person in His image and likeness. Material goods are certainly useful and required – indeed Jesus Himself was concerned to heal the sick, feed the crowds that followed Him and surely condemns the indifference that even today forces hundreds of millions into death through lack of food, water and medicine – yet "distributive" justice does not render to the human being the totality of his "due." Just as man needs bread, so does man have even more need of God. Saint Augustine notes: if "justice is that virtue which gives every one his due ... where, then, is the justice of man, when he deserts the true God?" (De civitate Dei, XIX, 21). The Christian Good News responds positively to man's thirst for justice, as Saint Paul affirms in the Letter to the Romans: "But now the justice of God has been manifested apart from law … the justice of God through faith in Jesus Christ for all who believe. For there is no distinction; since all have sinned and fall short of the glory of God, they are justified by His grace as a gift, through the redemption which is in Christ Jesus, whom God put forward as an expiation by his blood, to be received by faith" (3, 21-25). What then is the justice of Christ? Above all, it is the justice that comes from grace, where it is not man who makes amends, heals himself and others. 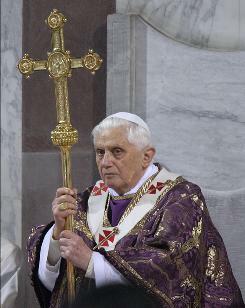 The fact that "expiation" flows from the "blood" of Christ signifies that it is not man's sacrifices that free him from the weight of his faults, but the loving act of God who opens Himself in the extreme, even to the point of bearing in Himself the "curse" due to man so as to give in return the "blessing" due to God (cf. Gal 3, 13-14). But this raises an immediate objection: what kind of justice is this where the just man dies for the guilty and the guilty receives in return the blessing due to the just one? Would this not mean that each one receives the contrary of his "due"? In reality, here we discover divine justice, which is so profoundly different from its human counterpart. God has paid for us the price of the exchange in His Son, a price that is truly exorbitant. Before the justice of the Cross, man may rebel for this reveals how man is not a self-sufficient being, but in need of Another in order to realize himself fully. Conversion to Christ, believing in the Gospel, ultimately means this: to exit the illusion of self-sufficiency in order to discover and accept one's own need – the need of others and God, the need of His forgiveness and His friendship. So we understand how faith is altogether different from a natural, good-feeling, obvious fact: humility is required to accept that I need Another to free me from "what is mine," to give me gratuitously "what is His." This happens especially in the sacraments of Reconciliation and the Eucharist. Thanks to Christ's action, we may enter into the "greatest" justice, which is that of love (cf. Rm 13, 8-10), the justice that recognises itself in every case more a debtor than a creditor, because it has received more than could ever have been expected. Strengthened by this very experience, the Christian is moved to contribute to creating just societies, where all receive what is necessary to live according to the dignity proper to the human person and where justice is enlivened by love. Dear brothers and sisters, Lent culminates in the Paschal Triduum, in which this year, too, we shall celebrate divine justice – the fullness of charity, gift, salvation. May this penitential season be for every Christian a time of authentic conversion and intense knowledge of the mystery of Christ, who came to fulfill every justice. With these sentiments, I cordially impart to all of you my Apostolic Blessing.